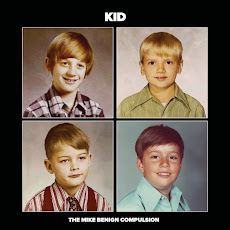 The Mike Benign Compulsion: The new, unspeakably awesome video for "Professional Jealousy/Saw Your Post"
The new, unspeakably awesome video for "Professional Jealousy/Saw Your Post"
Introducing the second video from The Mike Benign Compulsion's "Here's How It Works" album. Trust us: you'll want to share this one with your friends, and also with some people you don't like very much at all. After enduring another soul crushing day at a non-descript office building in the dead of winter, our hero exorcises his personal demons in the privacy of his own home, busting out a dizzying array of dance moves to the Who-inspired hooks of "Professional Jealousy/Saw Your Post." His struggle is our struggle. His dance moves, our dance moves. His khaki pants and running shoes? Entirely of his own making.